Preston North End defender Andy Boyle has joined Dundee on loan until January. The Irish centre half s the third departure from Deepdale on deadline day after Ben Pringle joined Grimsby and Marnick Vermijl moved to Dutch second tier side MVV Maastricht. All three were out of favour and had been told they were free to leave the club. Boyle’s deal runs until January 7 and will be reviewed at that point with the possibility his stay at the Scottish Premiership side will be extended until the end of the season. The 26-year-old has struggled for game time since his move from Dundalk in January 2017. 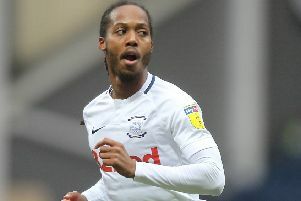 Boyle played a handful of games for Simon Grayson towards the end of that season before making five appearances under Alex Neil in the 2017-18 campaign, the majority coming when PNE were hit by their defensive injury crisis last November. He finished the season on loan at Doncaster in League One.